The following articles and resources can help you keep yourself, your students, and your classroom, safer from accidents. NSTA also has many resources on its website at http://www.nsta.org/safety/. ACS has produced a series of videos on safety in the high school chemistry lab. 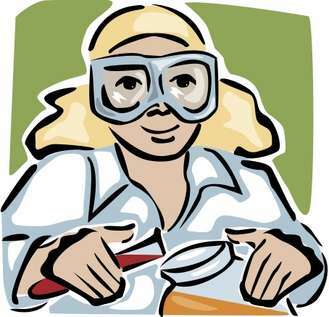 Check out Dr. Ken’s latest July NSTA Safety Blog commentary – important info to get your labs running safer for next academic year! Do you take things apart? Consider these guidelines developed by NSTA's Safety Resource person Kenneth Roy. This form may be used instead of a Safety Contract. Download a pdf from NSTA. Many of the chemicals on the Department of Homeland Security’s Anti-Terrorism Standards Chemicals of Interest List can be found in high school storerooms. These chemicals may be prone to theft and unauthorized lab experiments. Some terrorist websites have even suggested that their operatives pose as students to acquire hazardous chemical, biological, or radiological agents (NAP 2011). To meet this challenge, science teachers, their supervisors, and administrators need to provide a secure working environment by making their labs more secure. Download your copy of the American Chemical Society Division of Chemical Education Safety Guidelines for Chemical Demonstrations.